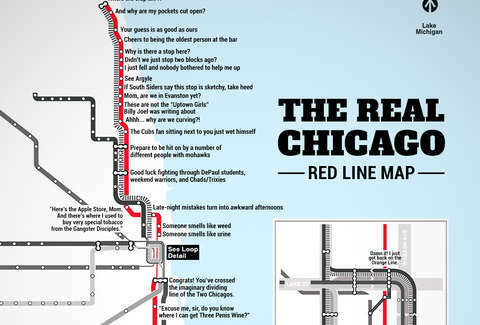 Like it or not (so... not), the Red Line is a part of everyday life for many Chicagoans. But that doesn't mean you can't have a little fun with it. So we did. 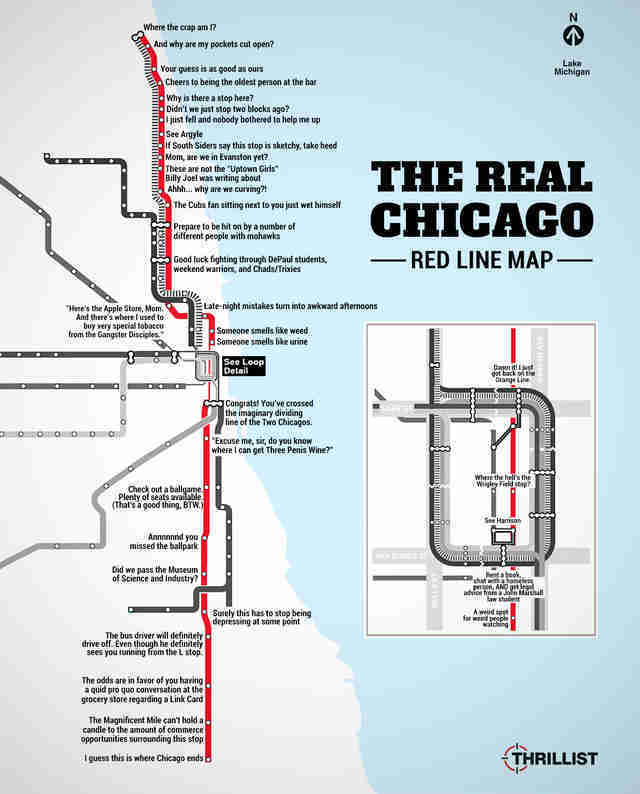 We present: what the REAL CTA Red Line map should look like. Scroll down to see the entire map, or click here to enlarge it like a mother. Evan F. Moore is a journalist whose work has appeared in The Nation, Chicago Tribune, The Shadow League, RedEye, Huffington Post, Southtown Star, Time Out Chicago, and Community Media Workshop’s We Are Not Alone/No Estamos Solos project on youth violence. Raf Miastkowski, Sean Cooley, and Matt Lynch contributed to this map.